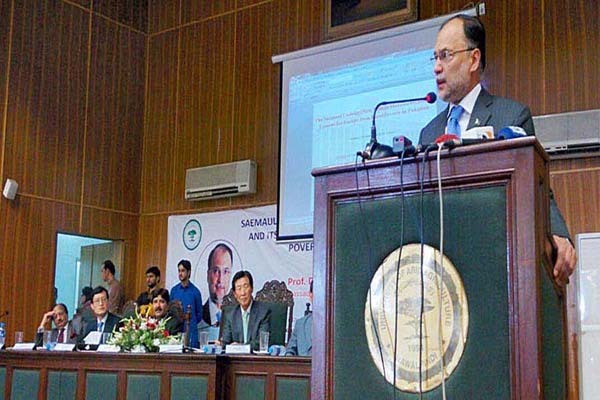 RAWALPINDI, May 20 (APP): Minister for Planning, Development and Reforms Ahsan Iqbal on Friday said that due to bold and prudent policies initiated by the present government, Pakistan was now poised to become amongst eighth fastest growing economies of the world by the year 2018. He was addressing the Seminar on “issue of Development in Rural Areas”,organized by Arid,Agriculture University Rawalpindi here. Ambassador of South Korea to Pakistan, Pof. Dr Song Jong Hwan, also attended the event.